I measured the resistance of the foam on the battery holder...infinite high. So I think its purpose has nothing to do with grounding static electricity. I removed the foam from the battery holder and replaced it with a piece of electrician tape. the case of the DM42...I will not remove that one of course. Next I carefully opened the LCD clip and freed its contact strip. Then if removed the PCB screws and removed the PCB. This way the PCB is positioned a little higher, if the screws are fastened. I still have a dull left EN- and a clicky right -TER. But the overall clickyness is a little better now. a way, that -- despite fastened screws -- the overall clickyness will be restaurated/regained. I dont believe that it will possible to get a equally clickified EN- and -TER, though. That looks strange. Please take it completely apart, gently press the enter button from behind and put it back together. I hope it solves the issue. Thanks Michael, that worked. Apparently the main problem here (I'm not talking contamination under domes, assuming domes click fine) is the imperfection of the plastic keyboard layer. My observations: actual keys are held in position by 2 thin "bridges" and fixing the alignment by gently pressing them with fingernails seem to do the job. This applies to all keys, but the negative effect is mainly with the ENTER key - the 2 plastic buds at the back of the key *must* be perfectly aligned (especially in height) above the domes. Then you get a single click pressing ENTER in the middle. I also fixed my STO key and now it sits better in position, even though there is no difference in the feel or action to before. My PCB has a slight bulge, but I'm not sure that is the problem; fine & precise re-alignment of each key probably is the best solution. Guys, I do NOT recommend following this advice. Having what I think is a good sense of what Michael is talking about, against my better judgement I let impatience get the best of me and I attempted to follow his advice sans instructional video. I disassembled then warmed the housing with a hair dryer and tried to unbend it. Not only did this not fix the left side of my ENTER key, but it ruined a few other of my keys (RCL, 1/X). The keys ended up stuck down. I had to diassemble again, reheat, and then try to rebend those keys outward from the inside, taking care not to accidentally press on any other keys since I figured that's what must have caused this. I managed to get those keys somewhat bent out, but then noticed now my LOG key was ruined. Repeat again. Now CLX and F6 were ruined. Repeat. Sigma+. Repeat. In all cases I took great care not to depress the keys, but they seemed to bend themselves out of nowhere. I even took care to only heat from the inside lest the hair dryer's fan be the culprit for depressing the keys. At this point, I'll be emailing SM to inquire what replacement or refund options I have. I cannot currently count myself as a satisfied customer. I appreciate SM fostering the tinkering spirit here in this community, but these hardware tweaks---particularly reforming plastic---are not things they should be advising customers to attempt. I knew that, and I should have listened to myself. Lesson learned. ETA: Michael was very generous and offered to repair/replace as needed. My DM42 is off to SM. Looking forward to seeing how it turns out! That's great! Please post an update once you receive the new or repaired DM42. I'm mostly curious to find out if your ENTER key is fixed. Haha, will do. It should end up at SM around May 7th. I have done a low-tech hacking of the DM42 keyboard. One of the problems I had was the asymmetry of the ENTER key. It works well by pressing on the right side of the key. I had tried to adjust the back screws and some more tricks that I read on the forums, without success. What worked for me? I have compensated for the small difference between the left/right side of the ENTER key and the dome with a thickness of two pieces of post-it paper cut out for the indicated size. I hope it's useful to someone. Now it works perfectly!!!! The ENTER key can be pressed at any point. 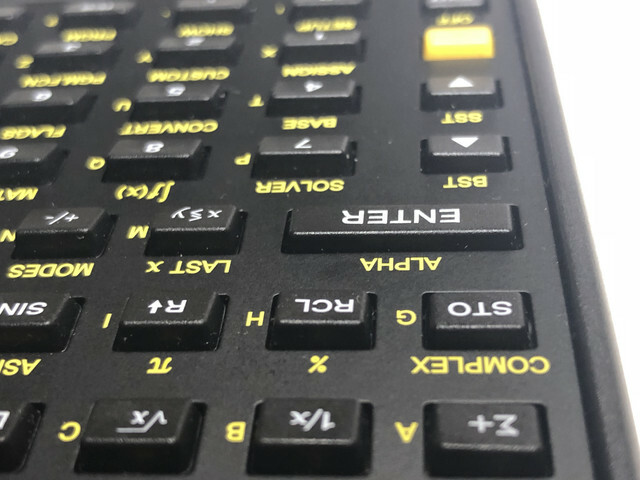 and the calculator oriented with the usb pointing away from you) ? Thanks a lot for the hack! I think you tried to cure the consequence rather than the reason. 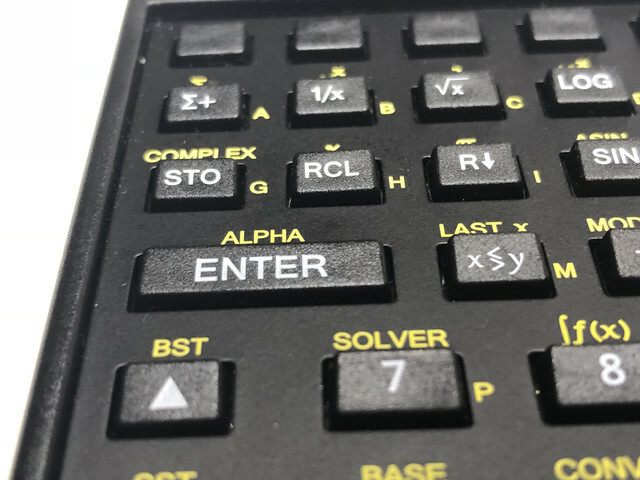 Would you post here a photo of the ENTER key from the top? I really doubt its top surface is parallel to the face plate, if it works after changing the geometry underneath. It's highly unlikely motherboard has such a huge bow to allow for compensation like that.